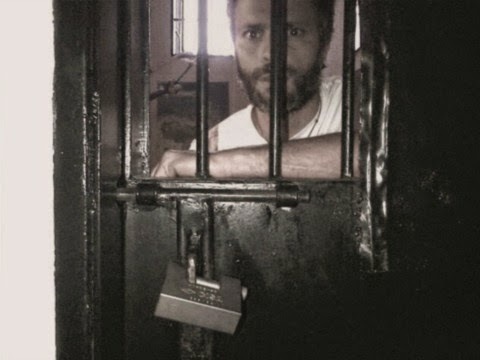 Ever since he turned himself in, Venezuelans had not seen or heard from Leopoldo López. The nation’s most visible political prisoner was made … invisible, thanks to the government’s iron discipline. Today, that discipline cracked just a little bit. A clandestine interview, accompanied by pictures of a bearded López in the dungeon, made their way to several of the continent’s most prominent newspapers. What he had to say was almost as important as what he looks like. From his prison cell, López sent a strong message to his captor, particularly “temporary” (i.e., one wrong move and you’re toast, missy) Judge Adriana Lóopez. Interestingly, he claims that a call she received during the hearing, in the middle of the night, forced her to change her ruling, and to decide against letting him stand trial from a position of freedom. He also says that he holds no grudges against the opposition coalition, the MUD, saying that he “understands” the reasons they searched for dialogue, but that they should now realize that dialogue with the government is impossible. In doing so, he shows himself more magnanimous than many of his followers are willing to be. Finally, he lays out the road plan: we need to work on some sort of election to get us out of this pickle. Whether it’s a referendum, or activating a Constitutional Assembly (something even Henrique Capriles hinted at a few months ago), López presses the MUD to understand the urgency of the moment, and to act upon it using the constitutional weapons at our disposal. The López interview fueled the fire of Maria Corina Machado, among others, who today asked for new elections. López’s wife, Lilian Tintori, was at her side. Leopoldo’s exhortation comes not a moment too soon. Most of the opposition leadership has seemed aloof and adrift, confirming what Leopoldo himself told me a few months ago, that many in the MUD think the only way out of this is to wait for the next Presidential election. Henrique Capriles, for one, continues to dodge the drama that is unfolding, refusing to set out a clear path forward. But López, from the loneliness of his isolation, sends a clear message: the time is now, hay un camino. How ironic. These kinds of interviews were commonplace in the pre-Chávez era. 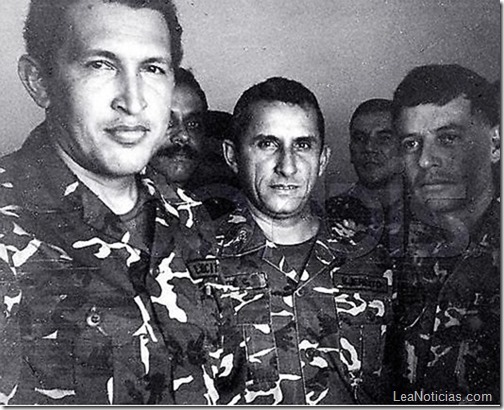 Hugo Chávez himself held court for many of the nation’s top journalists from his cell in Yare prison. But Maduro and his gendarmes had somewhow managed to avoid letting Leopoldo be seen or heard from … until today. Heads at Ramo Verde prison will probably roll after this. Kudos to El Nacional’s Alex Vásquez, who got the scoop, as well as to his paper.